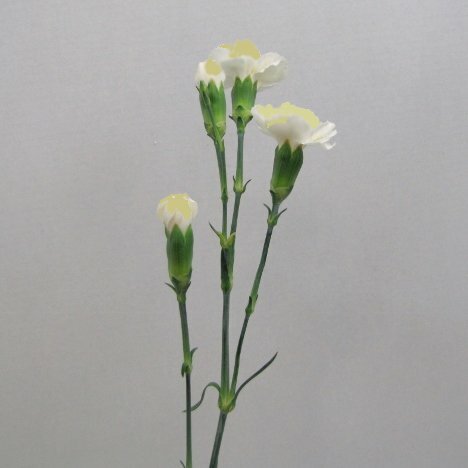 I also wire the spray carnations, both the open heads and the buds. 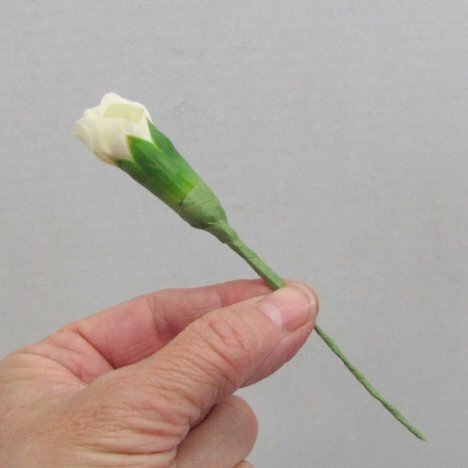 The carnations should feel firm to the touch, not soft with the flower wide open. 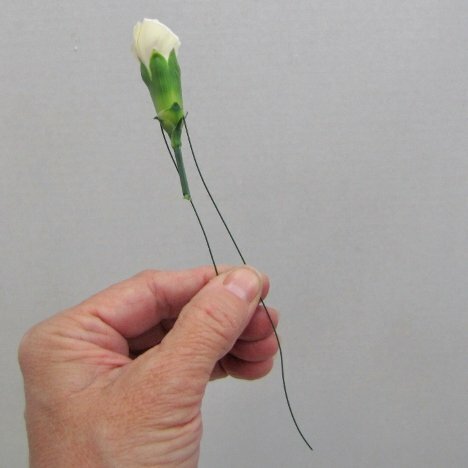 Insert the wire sideways across the calyx of the flower head. 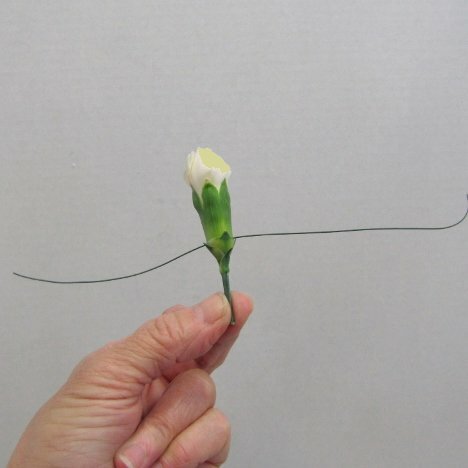 Bend the wire down parallel to the real flower stem. 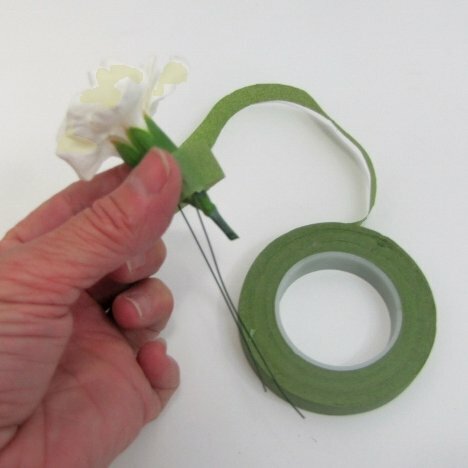 Wind tape carefully and tightly around the flower head, stretching as you move down the wire. 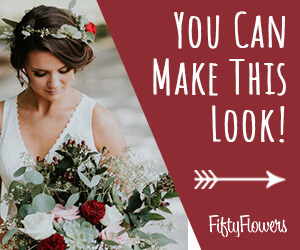 Don't forget buds - they work well for the longer tip ends of your finished corsage.